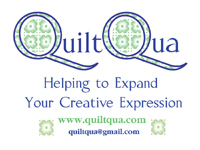 ← Four Seasons Quilt — Decisions! A friend works at the University of Toronto Faculty of Music and offered to take us on a tour of the building yesterday. 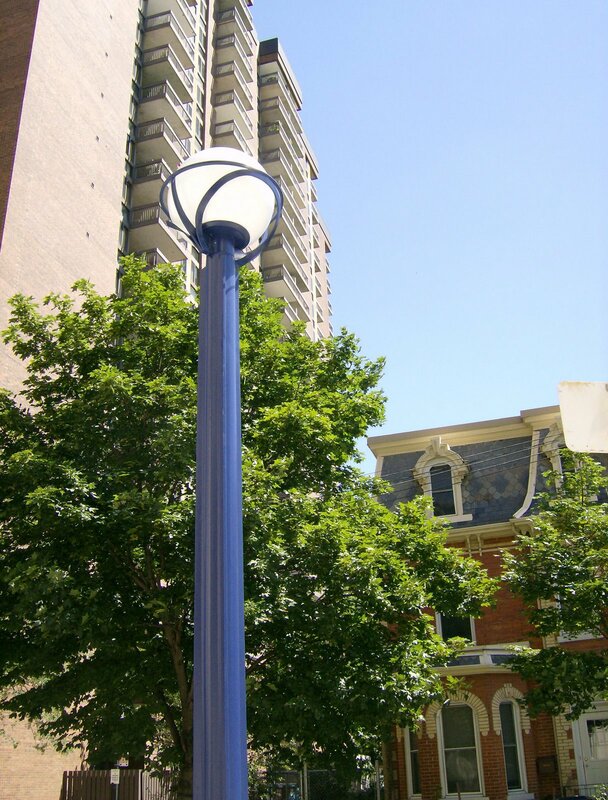 It was a glorious day — warm and sunny, barely a cloud in the sky, and not humid. Perfect summer weather. This was the view as we set off to walk over. 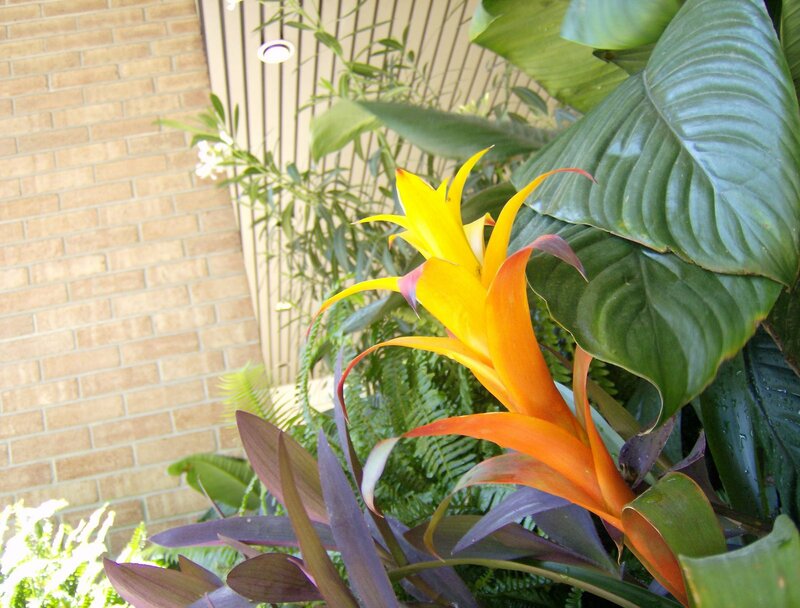 It seems that just about every single building has some sort of planting in front of it. Makes for a very pleasant walk! 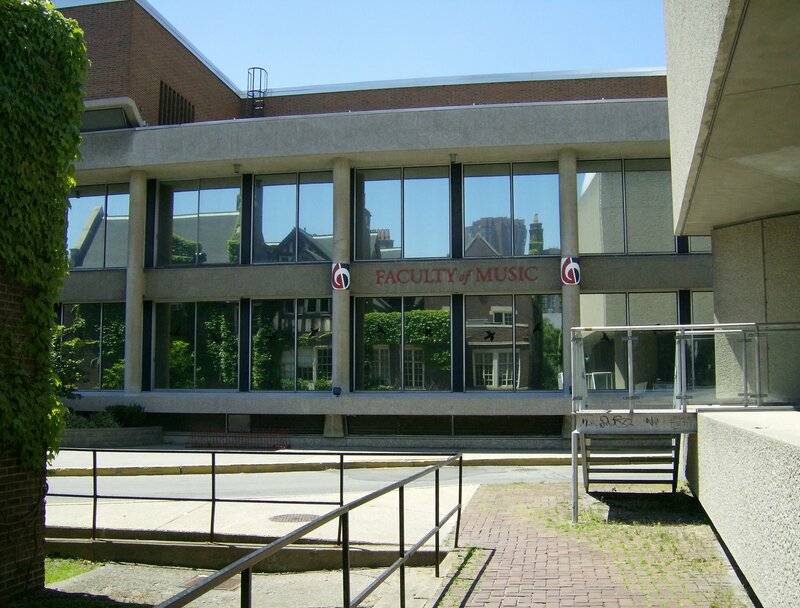 This is the Faculty of Music building as we walked up to it. We have tons of pictures. These are just a few. It’s a very deceptive building. It seems endless once you’re inside. 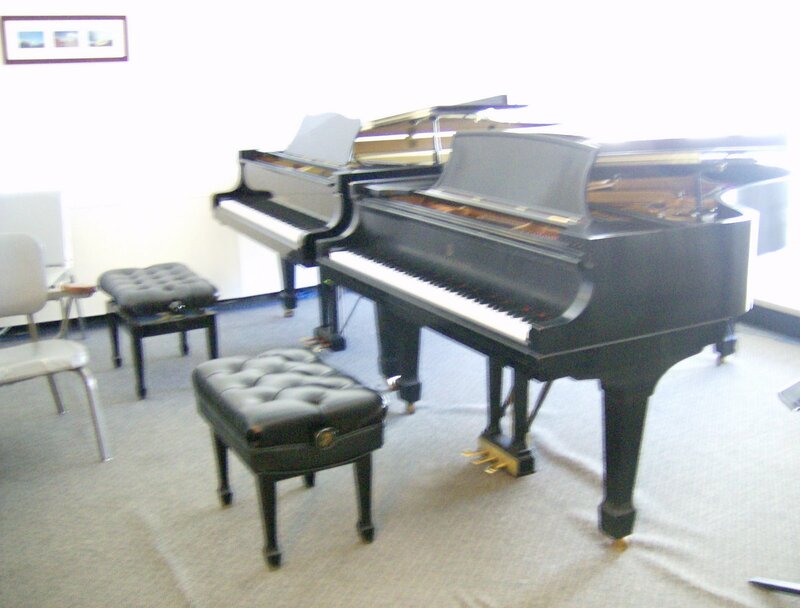 This is one of the 100+ grand pianos and one of the classrooms. Look at that glorious view! 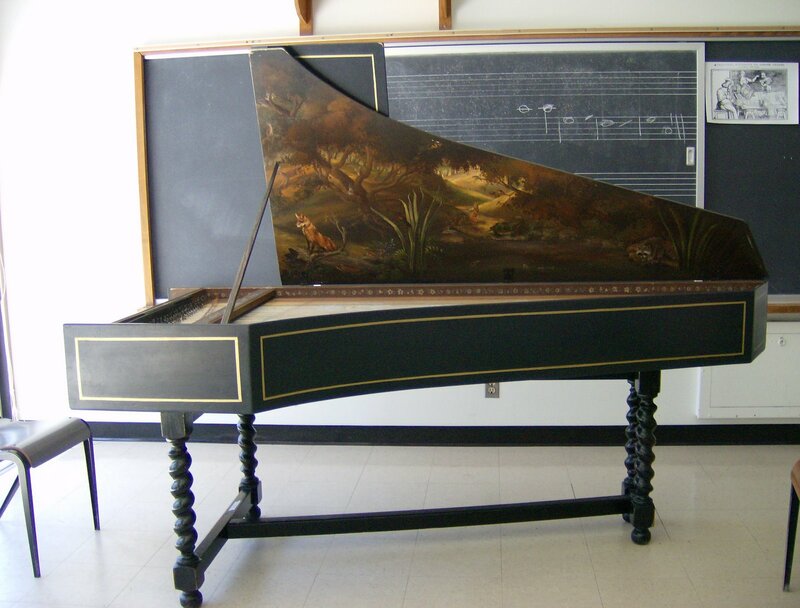 This was in another classroom — a harpsichord that just took my breath away. They are stunning instruments to look at! This is the detail painted on the wood beneath the wires of the harpsichord. 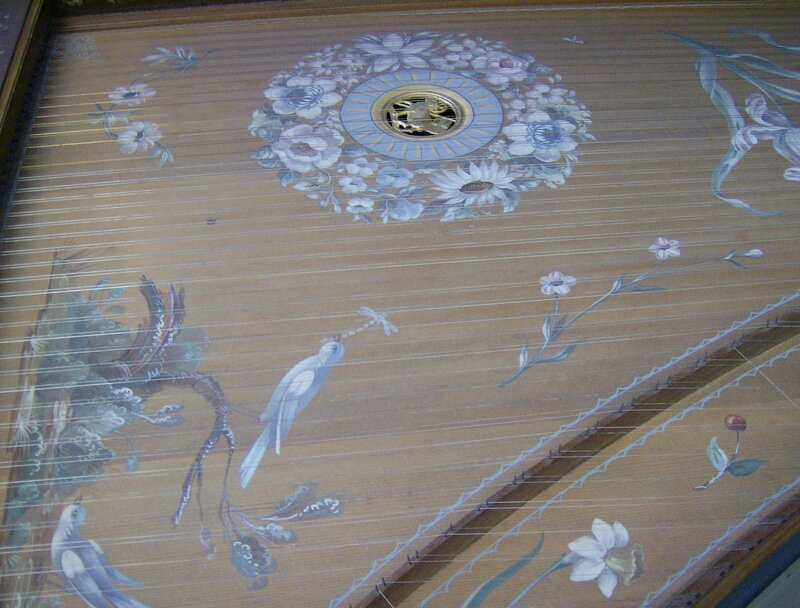 This is a close-up of the painting on the underside of the lid of the harpsichord. 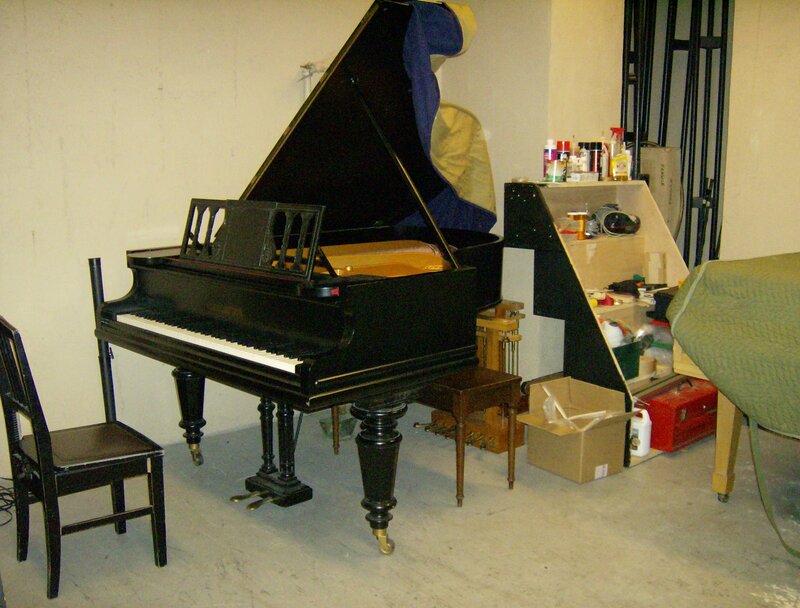 This beautiful grand piano was in the technicians’ workshop. It was almost heart-breaking to see a glorious piano like this in a workshop room. It’s a Bechstein grand piano that was gifted to the grandson or great-grandson of Kaiser Wilhelm and has made its way here. 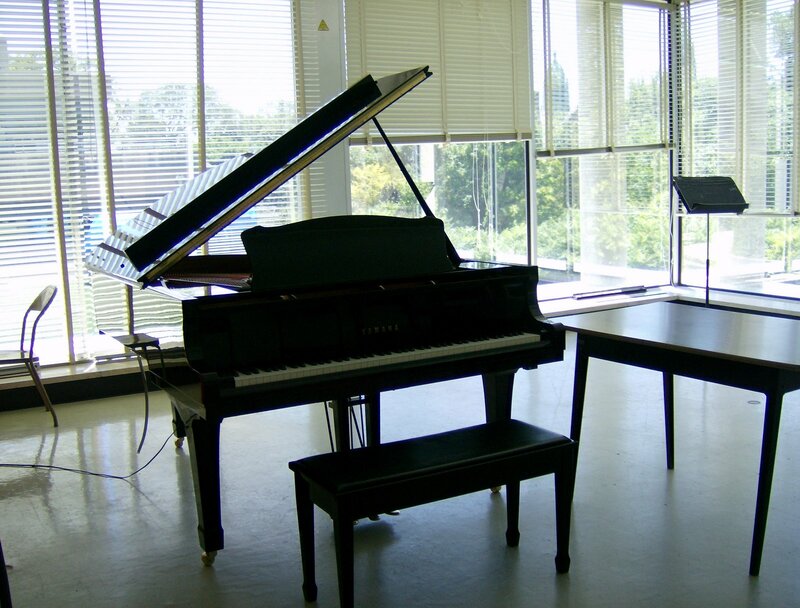 This is yet another classroom — with two grand pianos. This was yet another harpsichord. They are really beautiful instruments and are, I believe, made totally by hand. 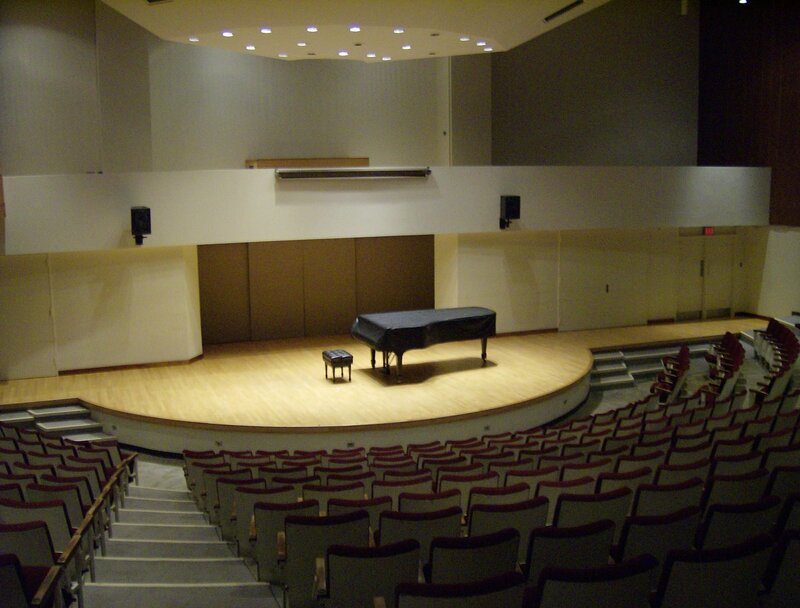 This is a concert grand in the MacMillan Theatre, named after Sir Ernest MacMillan, the former conductor of the Toronto Symphony. 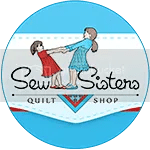 There are more pictures — we saw the stage where they put on opera performances, the workshop where they build props and sets, the sewing room (I had to sneak something in quilt-related in some vague way!) and other incredibly interesting areas. 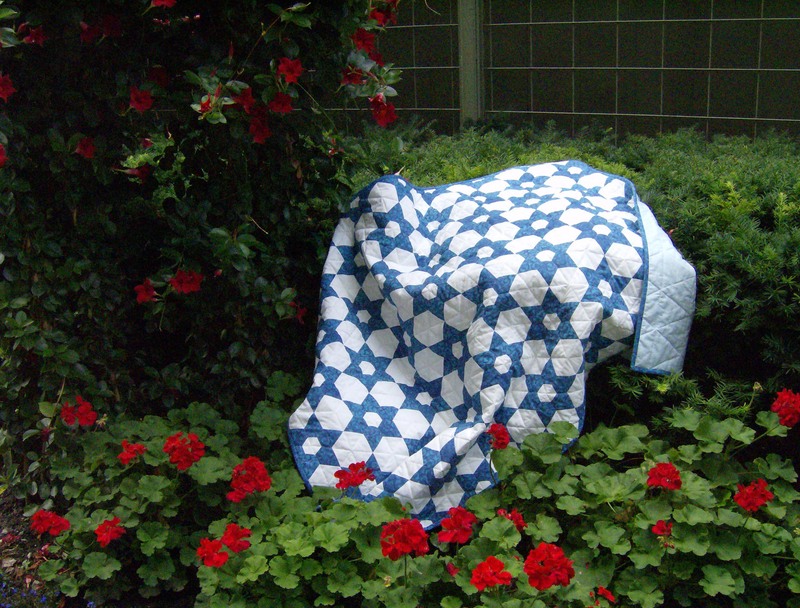 Thank you to everyone who chimed in on the orchids, yo-yo’s and folded flower dilemma. I have decided to go with the orchids, using one colour per stem. 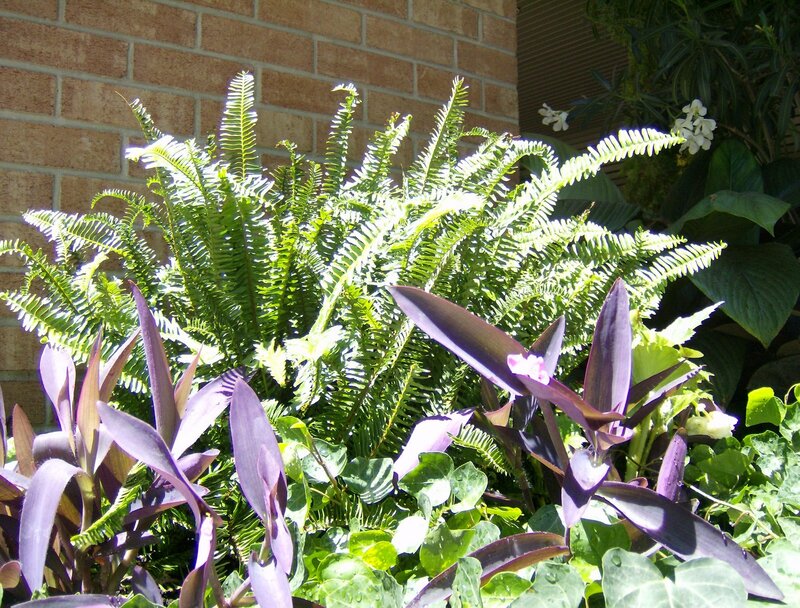 A few leaves will probably be added to the base of one or two of the stems as well. I had a good look at some orchids at the florist’s over the weekend and it seems that sometimes those stems are really that heavy with blooms! Beautiful pictures. 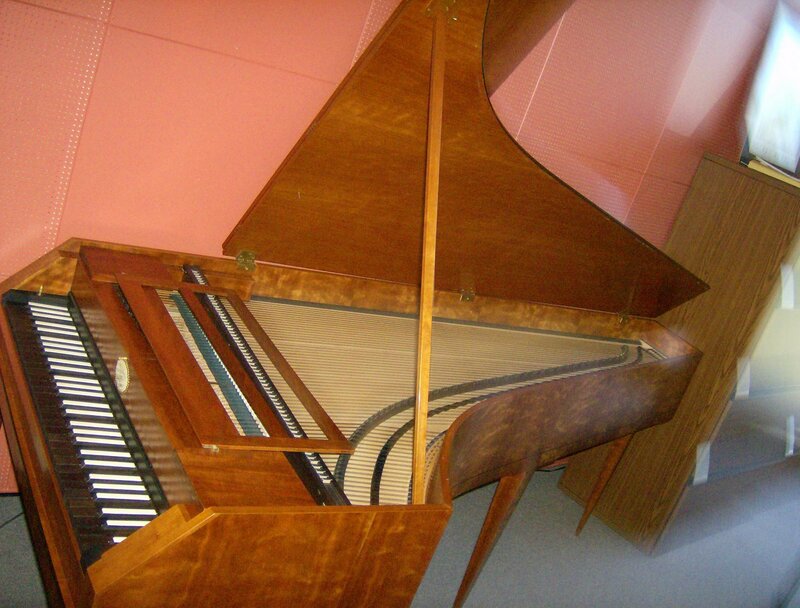 What an amazing harpsichord. Thanks for sharing. 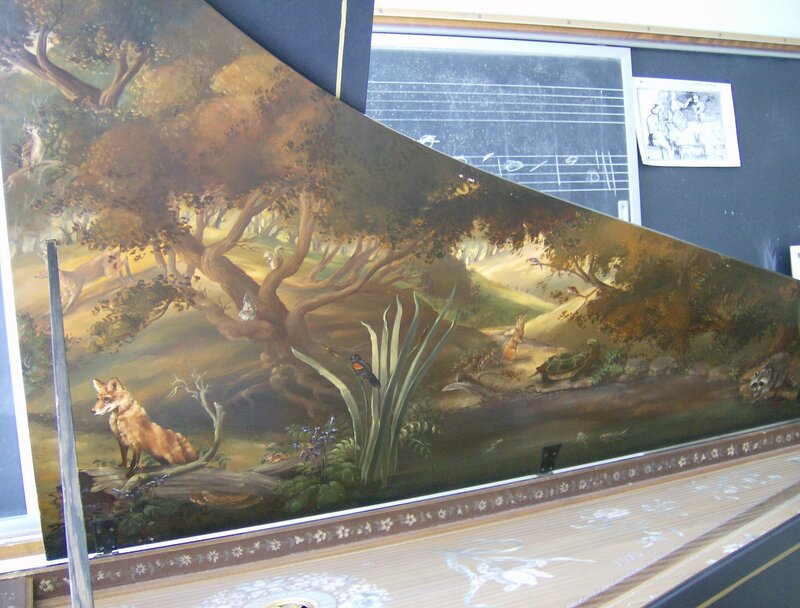 Wow, what a beautiful harpsichord! A lovely tour. Do you play?